PRMS Pirates Volleyball is a pay-for-play program sponsored by the Porter Ridge Athletic Booster Club. PRMS volleyball is not supported financially by the Union County Public School System. PRMS volleyball is governed by the External Sports Model, which was adopted by the PRABC. 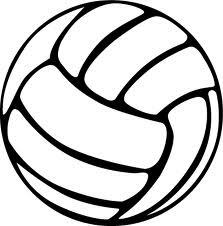 Become a fan of PRMS Volleyball on Facebook We will post open gym, tryouts, and season information as it becomes available. Thank you to everyone for participating in tryouts the past two day. Congratulations to the 2016 Porter Ridge Middle School Volleyball team members listed below. Practice is tomorrow morning at 9 am.